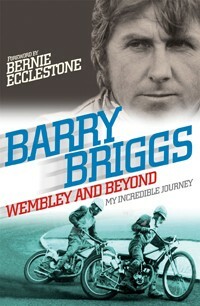 Briggo’s remarkable life story ‘Wembley and Beyond’ is now available in paperback. The new edition has been updated with two new chapters which tell the story of the amazing nationwide charity ride for disabled speedway riders, which netted over £70,000, plus the account of Barry’s incredible adventure to New Zealand to take part in the Burt Munro Challenge at 76 years of age! 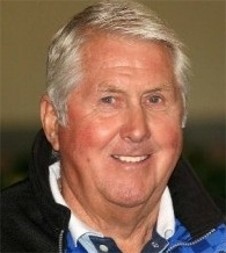 Top publishers, Little Brown, the company behind J K Rowling and the Harry Potter series, have taken up Briggo’s biography and launched it into the wider market having appreciated the amazing and inspirational life stories of the four-time World Speedway Champion. The new version will also be available as an e-book. Orders can be placed by following the links on this website or by going direct to Speedway Star. 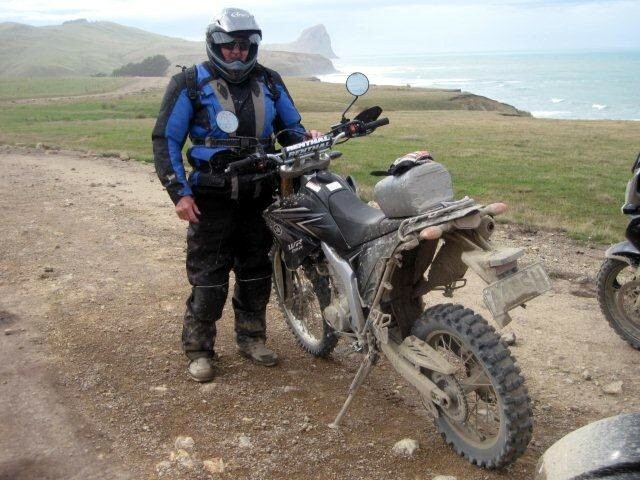 Sadly, Briggo is not likely to be seen on a motorcycle again during this weekend's Burt Munro Challenge. The challenge's star attraction injured himself after tumbling off his bike during a demonstration performance at the long track on Wednesday evening. Amazingly, he put the pain behind him to get in two runs at the Bluff Hill Climb on Thursday as promised, but an X-ray at Southland Hospital has now confirmed Barry has a broken left ankle and heavy bruising on much of his body. Naturally he was disappointed to have hurt himself at his first Burt Munro Challenge but acknowledged injuries were part and parcel of the sport. He knew he had been "bounced around" after the crash and said he could not walk on his ankle but rode the hill climb because it felt "pretty good" on the bike. Invercargill has been an unhappy hunting ground for Briggo. "I've been down here before and every time I hurt myself," he said. "I need to stay away from Invercargill." 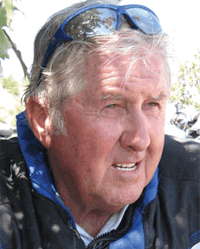 Injuries aside, Barry says he has thoroughly enjoyed his time at the challenge and said the event had a special theme other than just motorcycling – Burt Munro. Having visited Munro in Southland in the early 1950s Briggo still remembers seeing Burt’s workshop and tagging along to Oreti Beach with him. "I was really, really scared he was going to offer me a ride (on his Indian motorcycle). "I've seen a lot of things in my life and a lot of workshops similar to Burt, but he was different. He achieved against all the odds. He didn't have a lot of money." Briggo said Munro would have been smiling down if he knew the challenge had been set up in his honour, especially with the interest it attracted from not only New Zealand, but the rest of the world as well. Barry received attention from ambulance officials but walked way before confirming to the Southland Times newspaper that he would be riding in the Bluff Hill Climb event the next day, despite suffering bruising to his hand. 'I got caught out and I am old enough to know better' he said. After a summer of speedway in the UK, Briggo is on the verge of his latest adventure having arrived back down-under to take part in what is described as New Zealand’s motorcycling event of the year, The Burt Munro Challenge. Following the success of the 2005 movie about Burt Munro's inspirational life – “The World’s Fastest Indian”, the Southland Motorcycle Club created the challenge to honour Burt, his ingenuity, determination, and love of speed and motorcycles. It is now one of New Zealand's major motorsport events and has been steadily growing a strong local, national and International following. This year it will feature several current and former Kiwi World Champions and Briggo will be among them. Five events take place from 23 to the 27 November and at an amazing seventy six years young Barry has signed up for the lot, either as a competitor or in demonstrations. The events start on Wednesday 23 November with a 1000 metre Long Track meeting with speeds reaching in excess of a 100mph. The following day is the Bluff Road Hill Climb before Beach Racing takes centre stage on Friday 25th at the now famous Oreti Beach, well documented as ‘Burts Beach’. It was here that the legendary Kiwi laid his testing and race strip. Briggo reckons that this could be his highlight of the week, if he gets the chance to ride on Burt’s original Indian bike. If not, on one of the copy bikes built for the ‘The World’s Fastest Indian’ film. His biggest problem will be to get his new left knee to bend enough to fit into Burt’s stream-lining! The Final event takes place on Sunday 27th at Wyndham where the action returns to road racing. To get back his competitive edge, Barry must pull a master trick on his sub-conscious, to fool his aging body into once again being able to focus, judge and calculate in split seconds at speeds in excess of 100mph. Why would Briggo want to put it all back on the line once again? Maybe, there’s a simple answer. Still lurking inside him is the 17-year-old kid who travelled halfway round the world from New Zealand seeking fame and fortune, and he’s trying to break-out once again. The Week starts on a high note with the city of Invercargill honouring Burt by unveiling a life-sized bronze statue of him and his beloved 1920 Indian Scout motorcycle, on which he established his world land speed records. Over 15,000 motorcyclists are expected to converge on Invercargill to participate in this very special event. In typical Briggo style, Four times World Champion, Barry has sent an update from New Zealand where he explains, he is still as busy as ever! He tells us of his exploits and a 300km motorcycle adventure after somewhat "hastily" agreeing to undertake an off road ride during his stay. Apparently, Manchester, England would have been hard pressed to better the rain that fell during the treck, although he also reckons it was somewhat warmer there, despite having set off at 7.00am. Undeterred, he completed the task and thoroughly enjoyed the experience however he now promises to look in the mirror more often, to remind himself he is no longer a youngster! Barry arrived in the South Island this week and is already busy fixing more dates and book signings as he tours the land of his birth.